Starting out in the world of wine can be bewildering. For many, wine is an acquired taste, and uninitiated palates may need to start with lighter wines in order to learn to appreciate the various flavors in the wines before moving forward. Fortunately, some wines are great "break-in" wines that can kick start a lifelong appreciation of this wonderful beverage. There really isn't one type of wine that every single beginner will love. On the other hand, there are many delicious wines for the budding wine enthusiast to give a try before trying heavier or more serious wines. Many factors affect the pleasure beginners take in wine. At its bare minimum, all wine really is, is fermented grape juice. What gives the wine its body, aroma and flavor characteristics depends on the blend of grapes, the vintner's technique, and how the wine is stored while it's aging. Beginning wine drinkers want to stick with the simple, less complex wines so as not to overwhelm the taste buds. Simple wines include unoaked single varietal wines, such as Pinot Grigio or Barbera. Wine has many flavors, depending on the type of wine. For example, many reds have flavors such as dark fruits, leather, tobacco, berries and cherries. White wines may have flavors such as toast, spice, citrus fruits, apples, and pears among many others. If you've ever heard someone refer to the "mouth feel" of a wine, their referring to the viscosity, meaning, how heavy or light does the wine feel in your mouth. Beginning wine lovers tend to enjoy wines that are light on the palate. Lighter bodied wines include Beaujolais Nouveau and Sauvignon Blanc. Whether or not you care about the aromatics of wine depends on how much you want to delve into the wine world. If you are looking to become an expert, you need to learn how to differentiate the subtle aromatic notes in any type of wine. If you're just looking to understand a little more about what you're drinking, the basics will do. Aromatics depend on many factors including the grapes, the terroir (where the wine is grown), and how the wine is aged. Viognier and Grenache are very aromatic wines. Many beginning wine drinkers prefer wines with slightly more sweetness than some dry wines afford. This doesn't mean the wine needs to be sugary sweet, just not so dry it makes your mouth pucker. Winemakers create wines in a wide range of sweetness that depends on varietal, residual sugar, when the grapes are harvested, alcohol content, and types of grapes used. Sweetness ranges from dry reds and whites like Cabernet Sauvignon or Chardonnay to very sweet dessert wines such as Port. 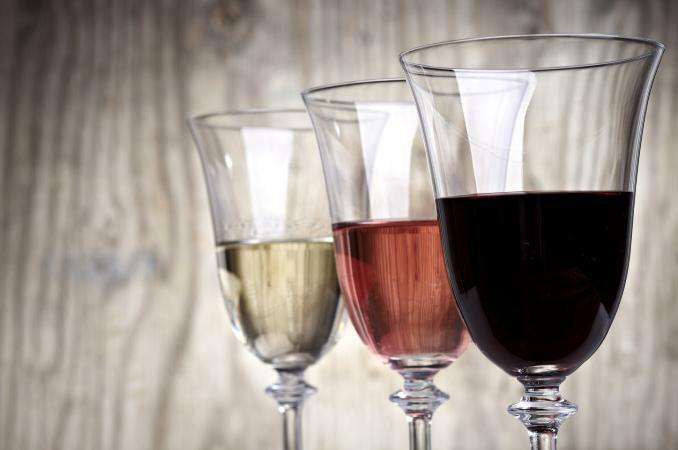 For many beginners, off-dry wines such as Moscato d'Asti and Pinot Noir are a great entree into wines. Pinot Grigio: One of the most user friendly white wines on the market, Pinot Grigio wines are light bodied and crisp, both in finish and flavor characteristics. Give Santa Margherita Pinot Grigio a try. Moscato d'Asti: This slightly frizzy, off-dry wine from Italy is a delight. It has flavors of apricots and almonds, and offers a crispy sweet and juicy sip that tickles the nose as you drink it. Riesling: This wine ranges from dry to very sweet, but is almost universally loved for its crisp citrus and mineral flavors, bright acidity, and light body. Try a German Riesling, or enjoy a bottle from Washington State such as the Columbia Cellermaster's Riesling. Sauvignon Blanc: This is a crisp, refreshing light bodied white with simple flavors that include kiwi and citrus. It's also a wonderful summer wine because it is so refreshing. Try a bottle from Kim Crawford. Pinot Noir: Light to medium bodied and super food friendly, it's so easy to fall in love with a Pinot Noir even if you don't fancy yourself a red wine enthusiast. Need some suggestions? Try Lindeman's Bin 99, Devil's Corner from Tamar Ridge or McMurray Ranch Pinot Noir. Syrah: Syrah and its Australian sibling, Shiraz, are one and the same. Australian Shirazs tend to be a bit on the peppery side while Syrahs tend to be a bit more fruity. For Shiraz, pick up a bottle of Penfold's or d'Arenberg. As for the Syrah's, try a bottle of Qupe Central Coast or Eaglepoint Ranch. Beaujolais Nouveau: This French wine is meant to be drunk young. It releases in November of every year and usually sells out before Christmas. The wine is fruity and light, without heavy tannins, making it a favorite for new wine drinkers. Wine is there for your enjoyment. Whether you begin your wine journey by taking some of the best wines for beginners suggestions made here or decide to venture out on your own, try tasting a few different bottles of a certain type of red or white wine to really get a feel for it. Use the resources available to you, as well. Ask a local wine shop owner to recommend a wine for a new palate. He or she will surely have some suggestions you will love.